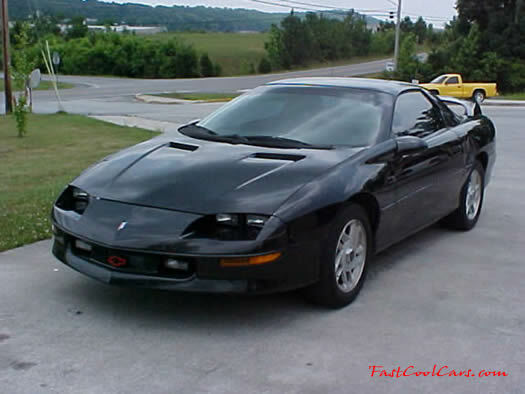 This is my 1993 Chevrolet Camaro Z28 - The Engine is a LT1 with insurance factory rated 275 horsepower, I just bought this car about a month ago, so the engine is still a little dirty, I'll be cleaning and detailing it next. It does not have any leaks and does not burn any oil. Mileage is 130 k, not bad for a 12 year old car. It runs great, and sounds even better. It has a new clutch in it and performs excellent. It has a stock 3.42 posi-traction rear end. 4 wheel disc brakes of course which is standard equipment.